Four partner universities and institutions from Tallinn, Haifa, Dessau and Lisbon debate the research results of the international master programme of European Architecture together with students and alumni. 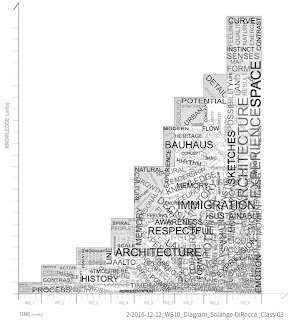 is a unique approach to international architectural education. It combines the idea of the classic educational journey abroad with the intensive, interdisciplinary and project-oriented workshop tradition. The training is structured around a series of eight project workshops on topics that elaborate and reflect architectural knowledge across greater Europe. Between September 2015 and December 2016, 9 workshops took place at the partner universities of Tallinn University of Technology (responsible), Ljubljana Faculty of Architecture, Haifa NB School of Design, Bauhaus Dessau Foundation, Innsbruck University and Lisbon Faculty of Architecture (double degree partner) with the 3rd class of the Reiseuni_lab. The programme is framed by three design theoretical, empirical-reflexive workshops. The design methods seminar at the start of the 2 year programme as well as the Design Reflection 2 [DR2] serve to research about design, to catalogue design strategies and positions in order to develop an empirical self-reflected knowhow upon the rich context of the intercultural discourse. The 3rd Design Reflection workshop will follow up next with the goal to develop the research portfolio of the half-year Master’ s Thesis. The EAD Colloquium of the workshop [DR2] is an integral part of the programme and research dialogue between the universities, professors, students and alumni. It takes place to enable the exchange between all involved and serves for all participants to compare and discuss the research results of the 9 workshops: Multifaceted European architectural key challenges and the specific regional tasks, the variety of teaching and research approaches and diverse problem-solving-strategies as part of the project work. The discussions about and cooperative viewing and reflection of the results form the basis, to focus the key topics to be examined in more depth as superordinate issues for the research oriented, half-year Master’s Thesis in 2017. During the final discussion and round table, possible options for the master’s thesis topic will be sketched. serve to investigate the different positions and architectural problems between Lisbon, Helsinki, Haifa and Tallinn, Ljubljana and Innsbruck seeking answers, which are developed in the workshop series: What architecture topic is actually important in the specific regional context of the city? Which design strategy has been implemented and will be implemented next year? Which methodological approach of project work, reflection and teaching has been developed? 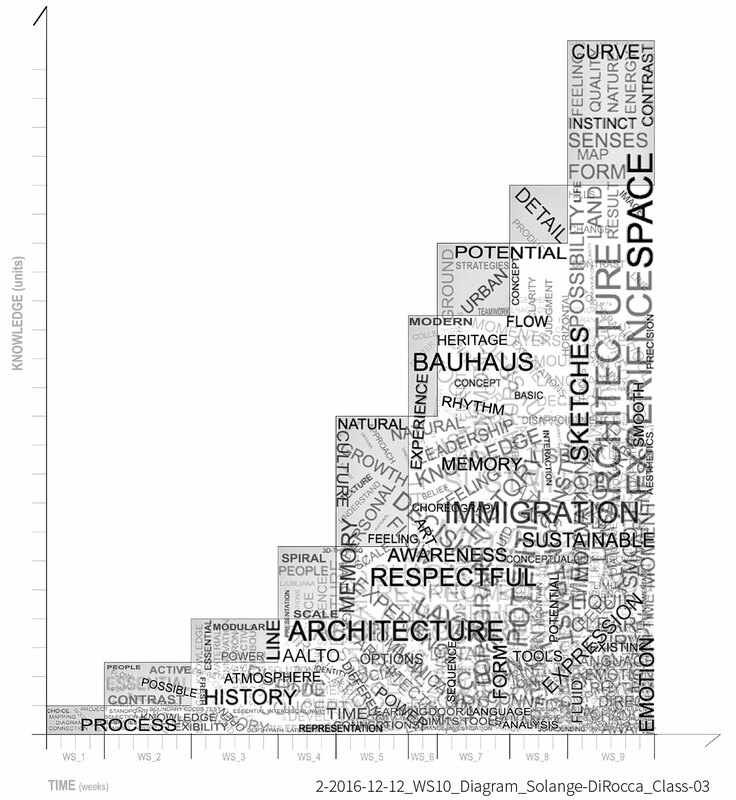 And how it is related to the university’s position within the architecture landscape of Europe? analyse the nine workshop approaches under different aspects: Which design strategies have been implemented into the working process of each workshop? How is the creative process designed towards the solution of the problem by given workshop programmes? In which manner are the communication elements and team constellations implemented into the different university conditions with home students? Which disciplines are involved? Which individual strategies have been developed to ‘adopt fast’, to focus the key concerns quickly and to deal with the challenge of new contexts? Since the beginning of the first cycle of the international programme in 2010 with a class of 19 student and the second class of 17 students in 2011, two graduations have been realized in 2012 and 2013. Alumni from Germany and Portugal will speak about opportunities, tasks and challenges after the two years of travel-studies in international architecture offices and stays abroad. Questions about key topics of ‚transformation of the European city’ today, ‚challenge of cultural differences’, ‚understanding of complexity and interdisciplinarity’ and ‚professional demands in times of re-use’ are to be raised. The discourses serve to prepare the next key challenges of the Master’s Thesis and the EAD Symposium in 2017.